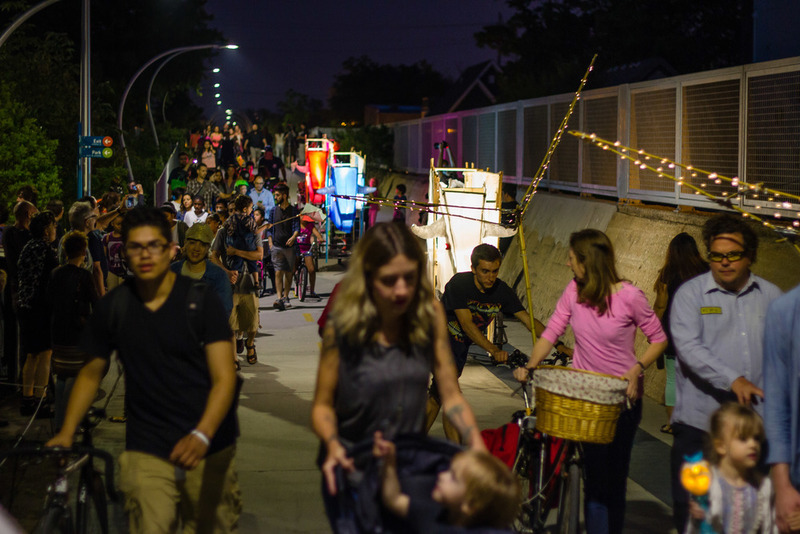 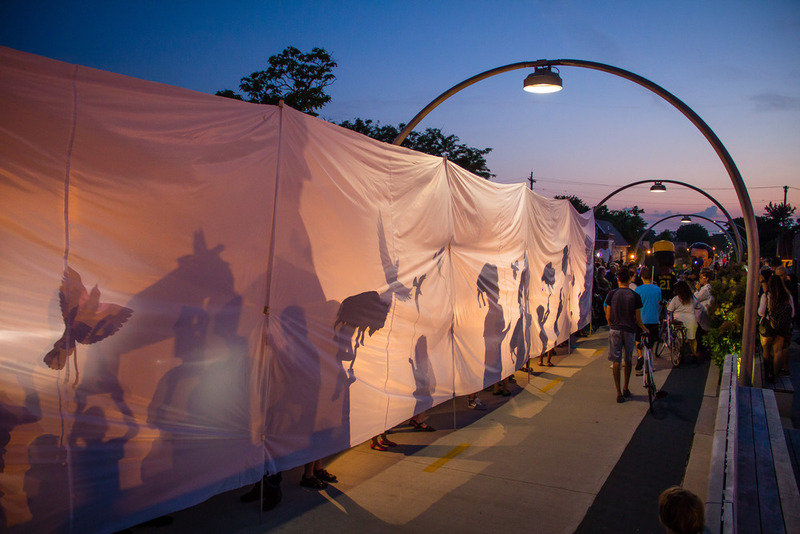 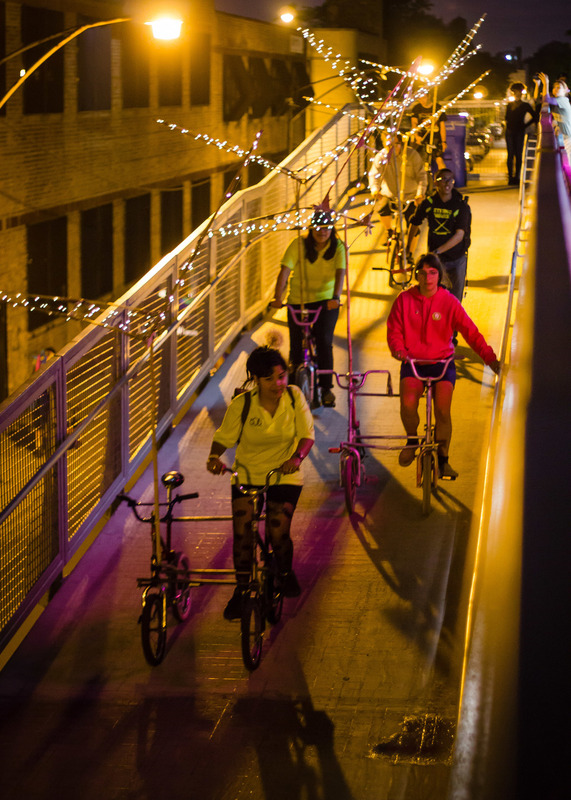 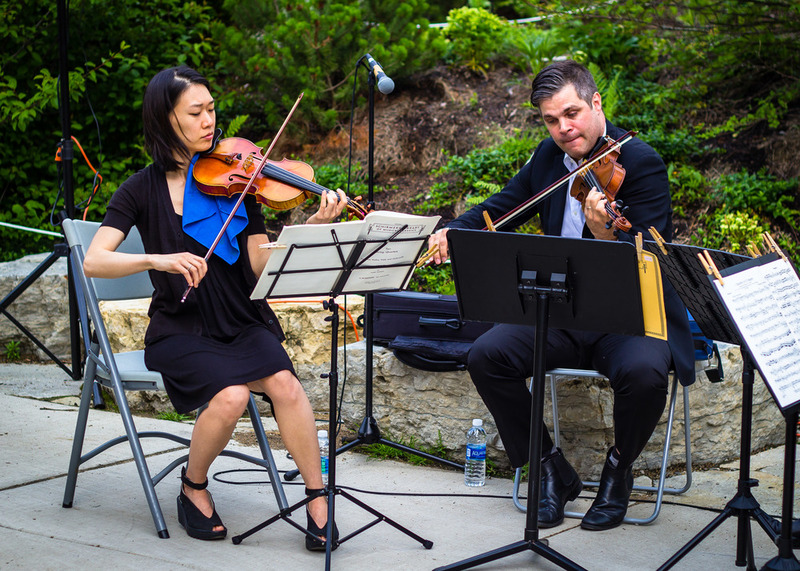 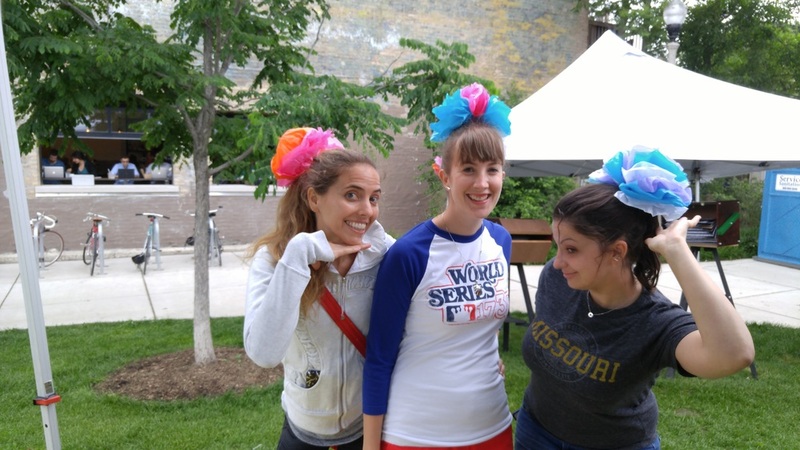 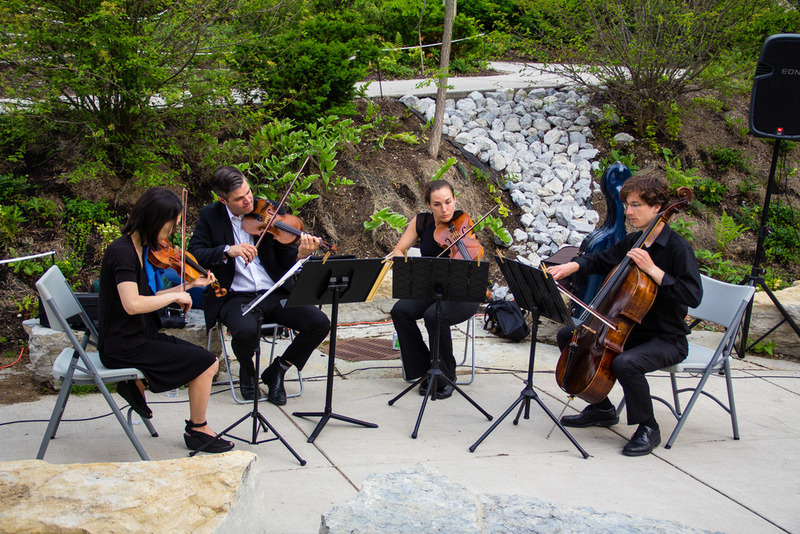 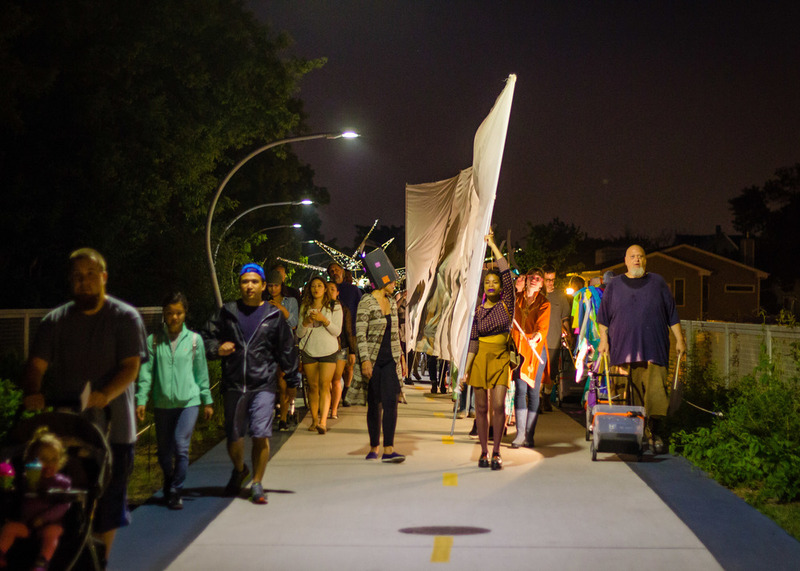 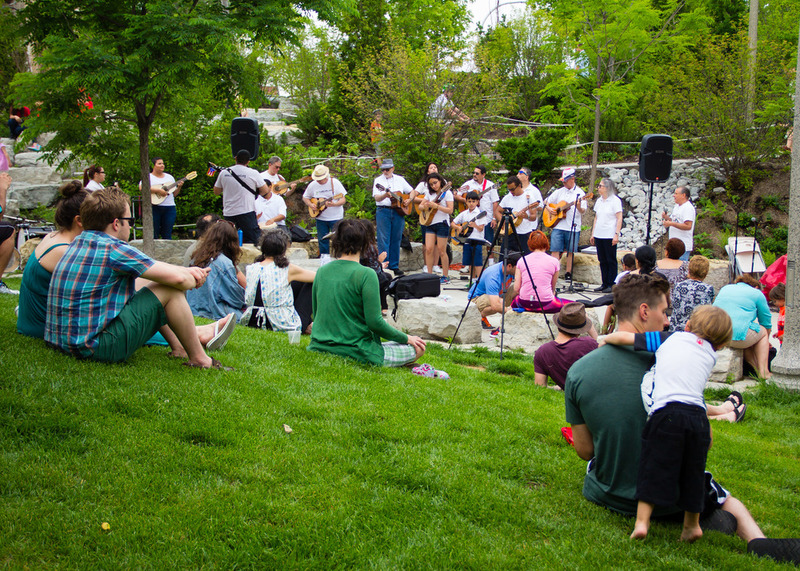 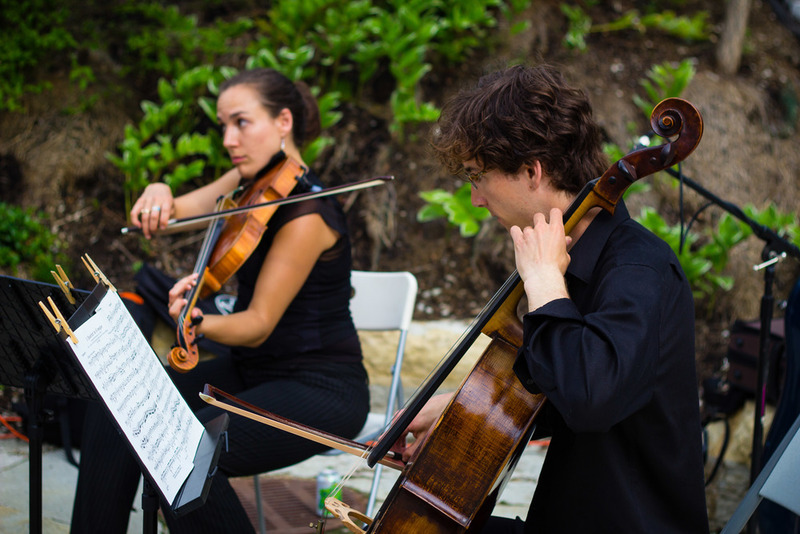 On June 4 opera-matic celebrated the one year anniversary of The 606. 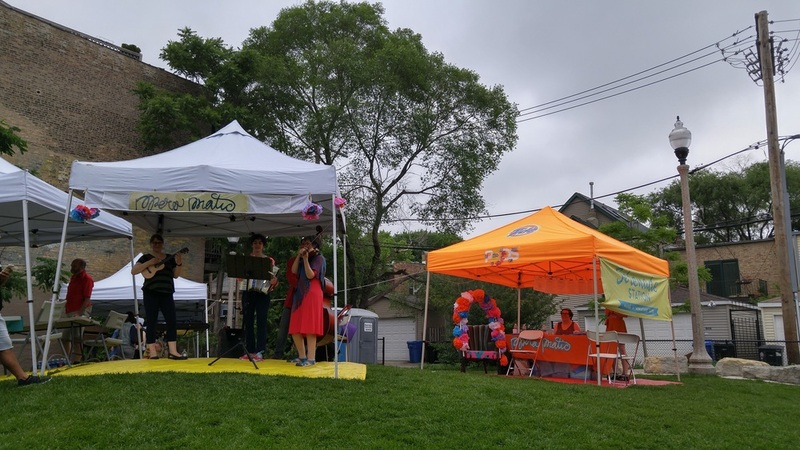 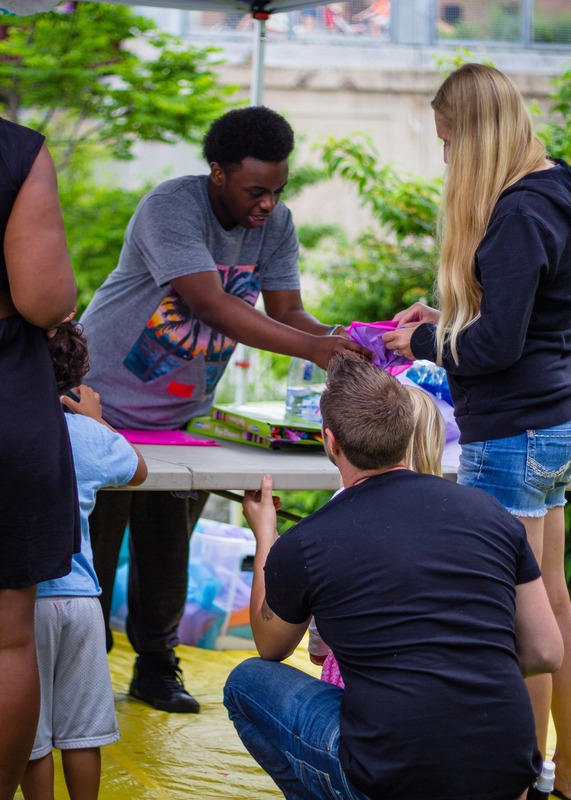 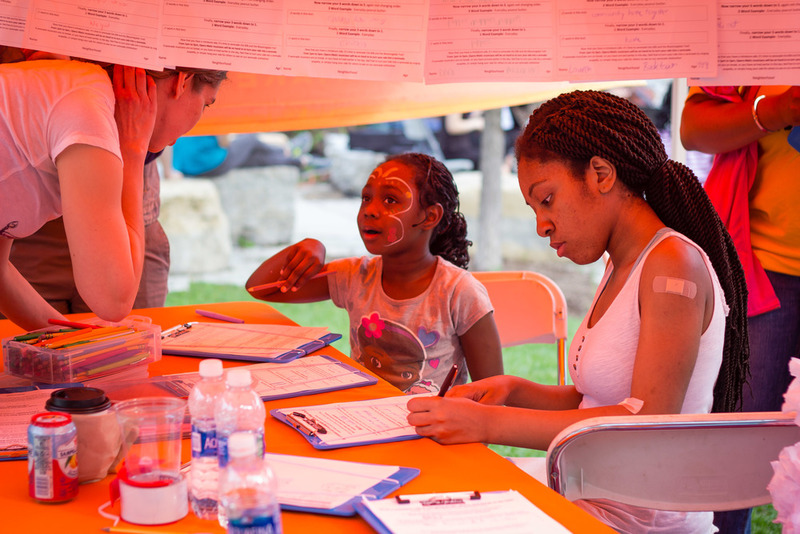 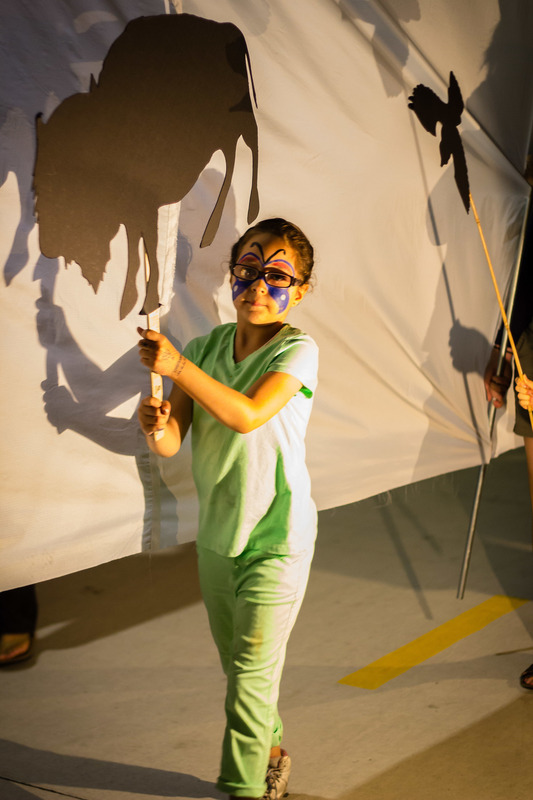 Opera-Matic artists and musicians facilitated interactive music and art making workshops creating delightful moments that inspired neighborhood spirit! 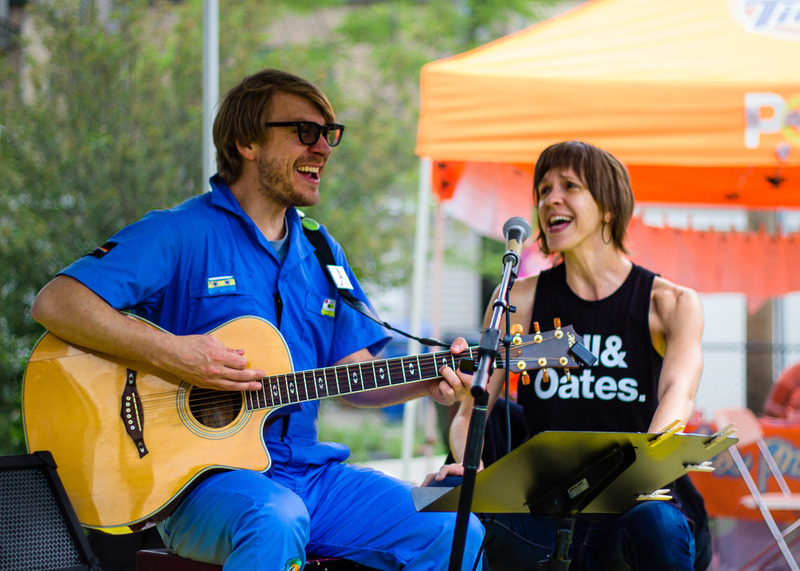 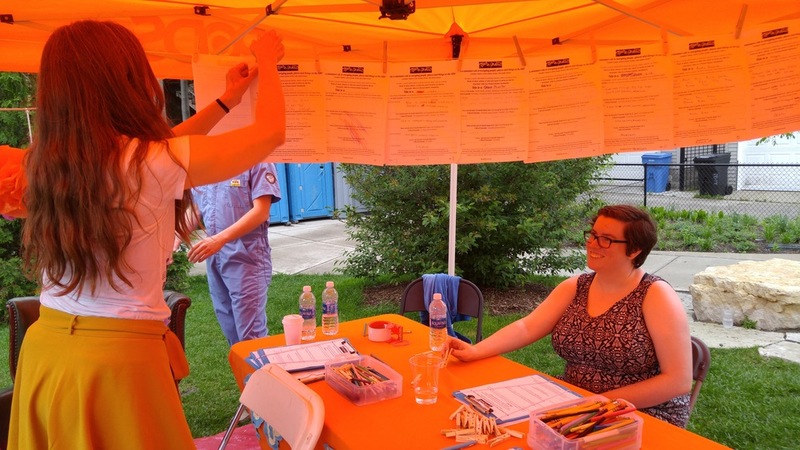 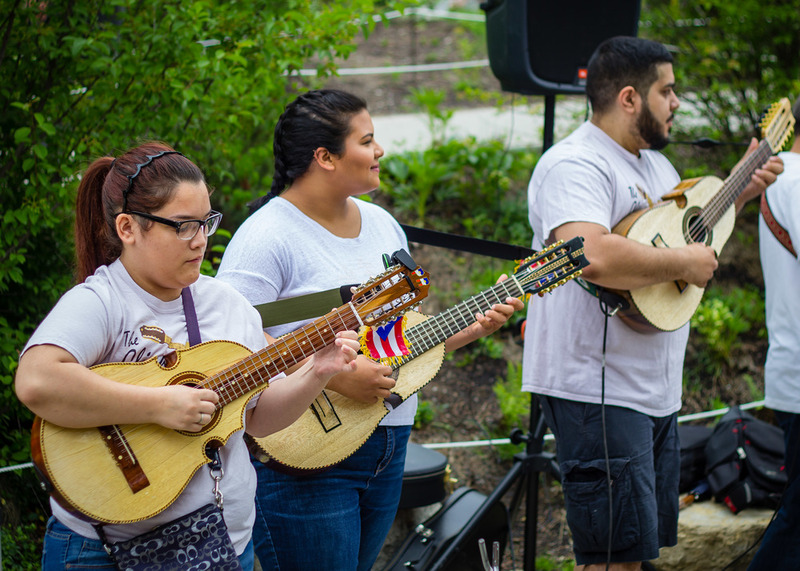 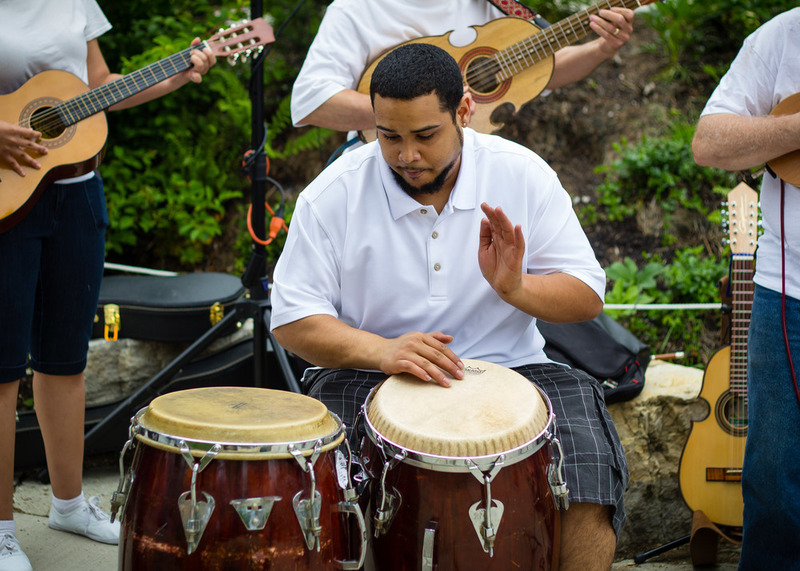 Participants learned to write odes to their favorite people, places and everyday objects at our serenade stations, and musicians Charly Barbera, Quincy Raggs, Nick Davio, Jyl Fehrenkamp and the Snail Band featuring Ronnie Kuller put them to music! 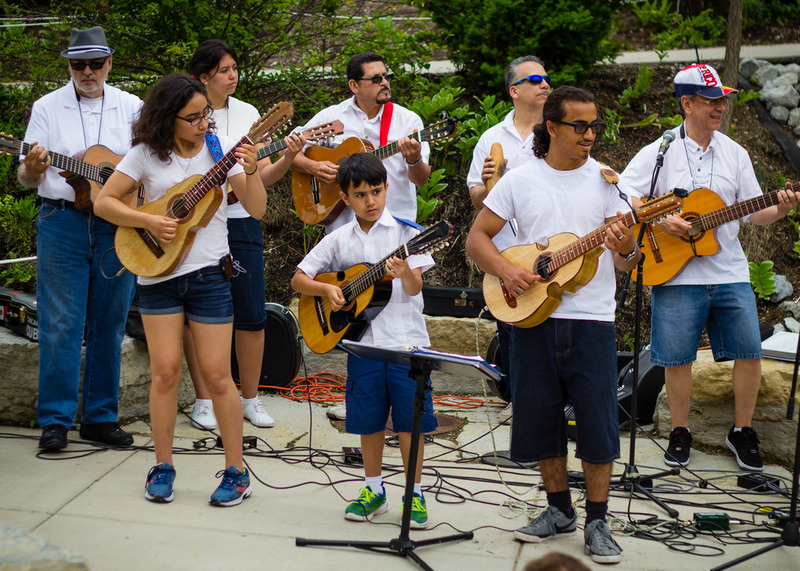 We enjoyed performances from the Chicago Cuatro Orchestra, the Lowell Elementary School Drum Line, and New Millennium Orchestra String Quartet. 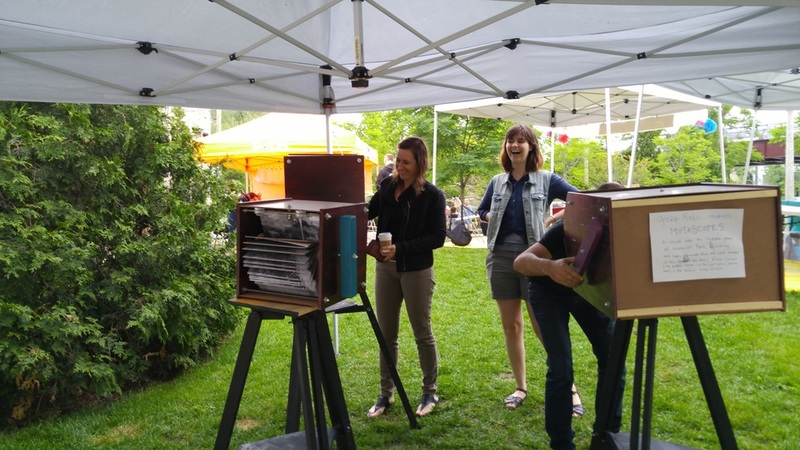 Our bison and ash tree mutoscopes were also on view! 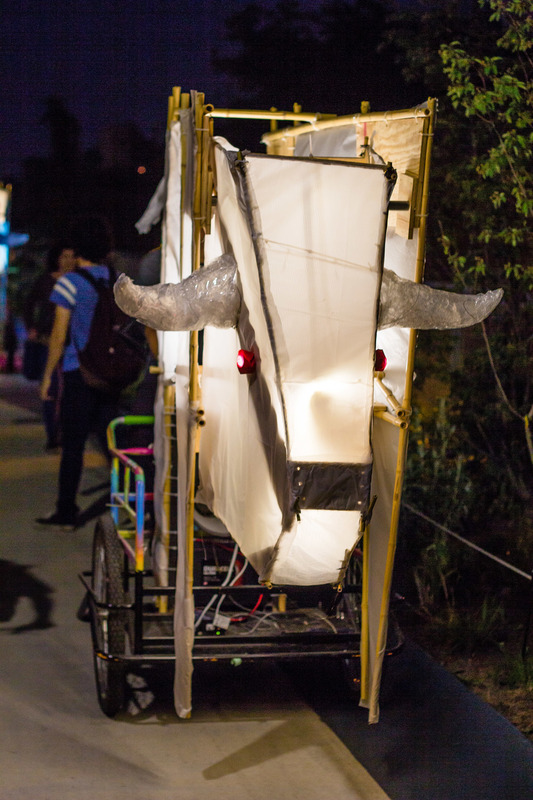 That evening, participants created illuminated paper head dresses, worn during the Illumination Hour Procession. 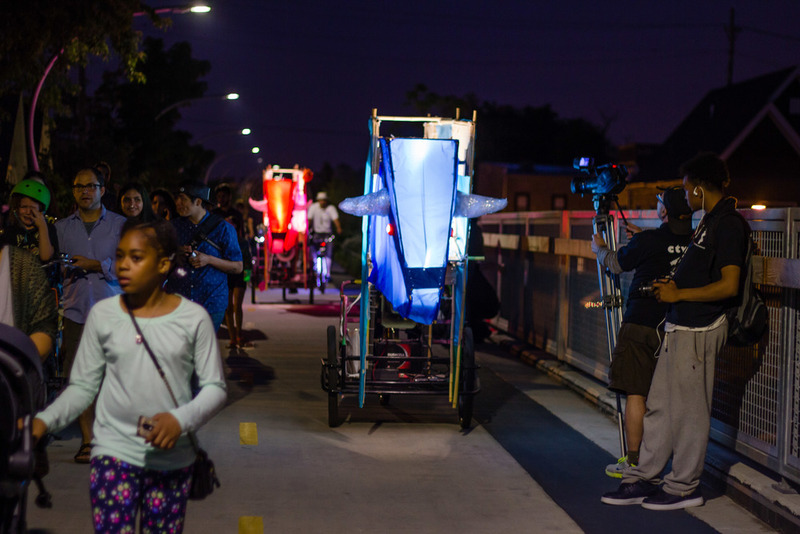 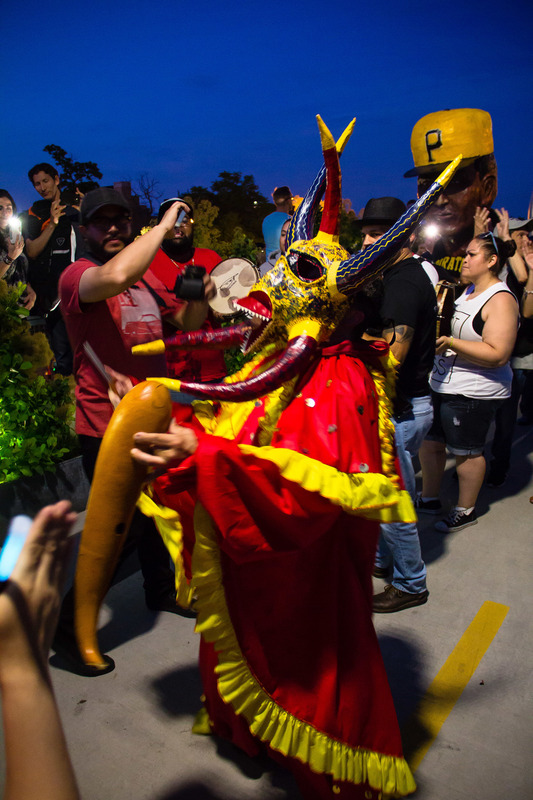 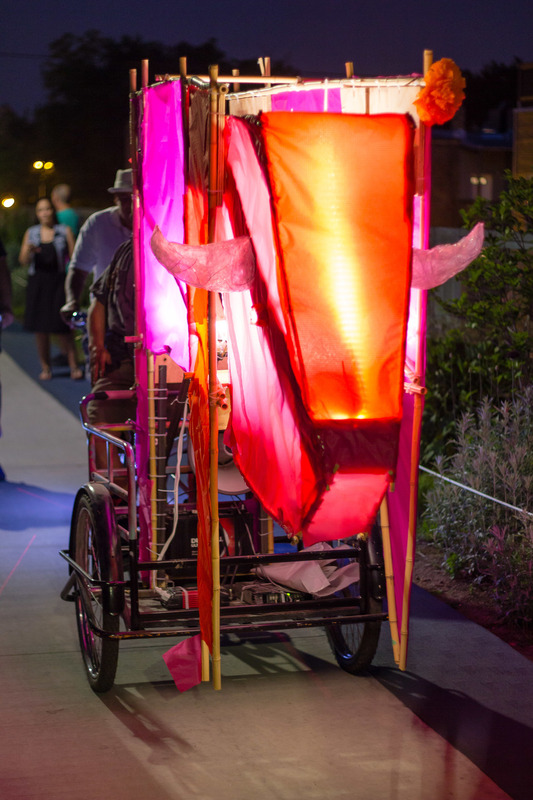 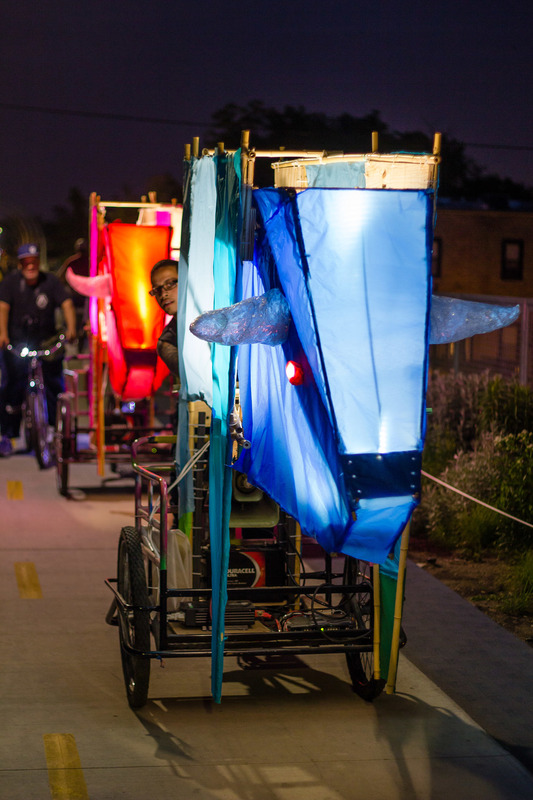 New friends became puppeteers in our shadow puppet parade, accompanied by performers from Segundo Ruiz Belvis Cultural Center, and the wacky wheeled creations of West Town Bikes. 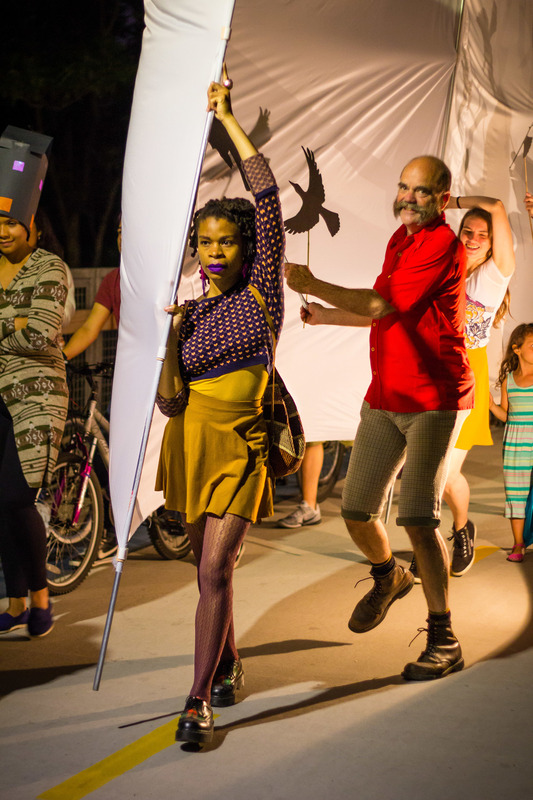 Let's continue to illuminate our neighborhoods with song, light, and laughter! 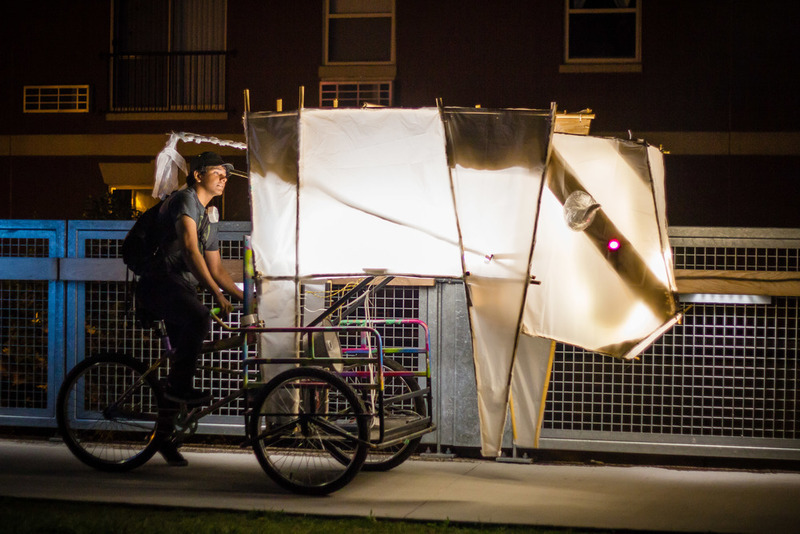 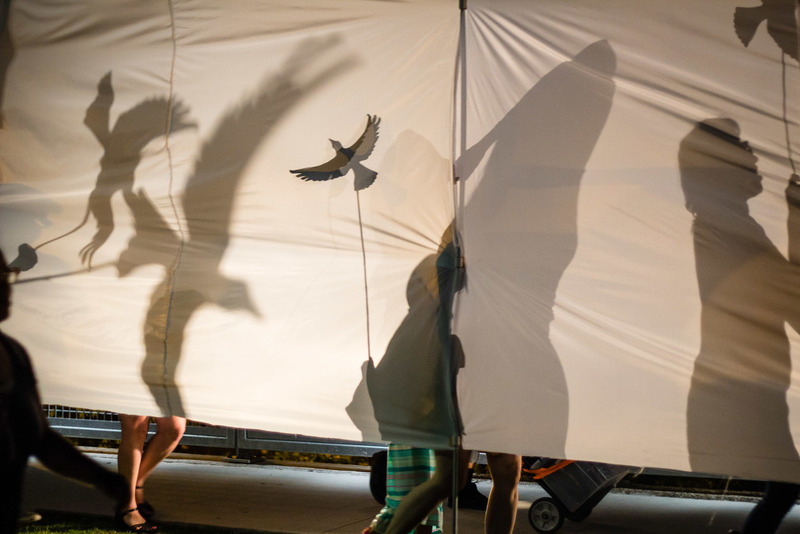 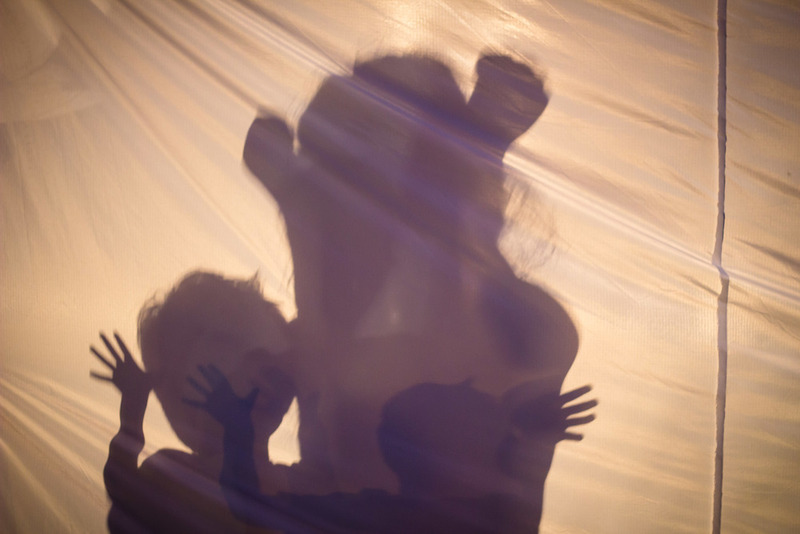 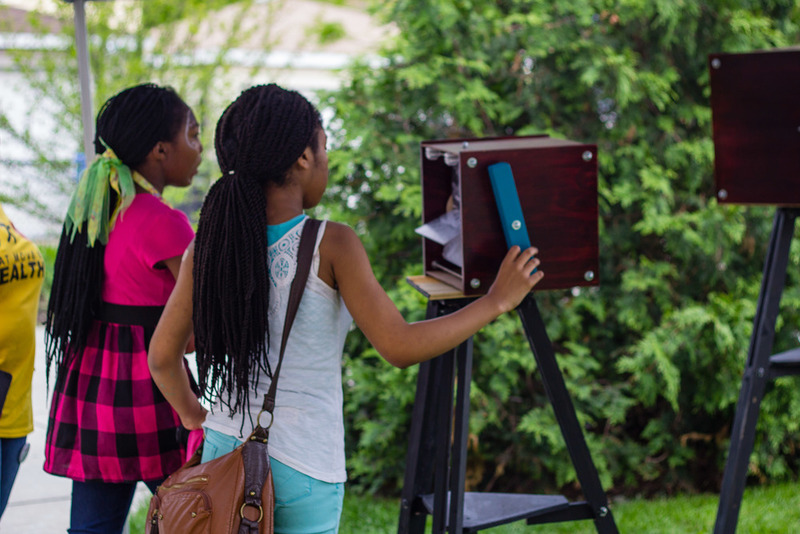 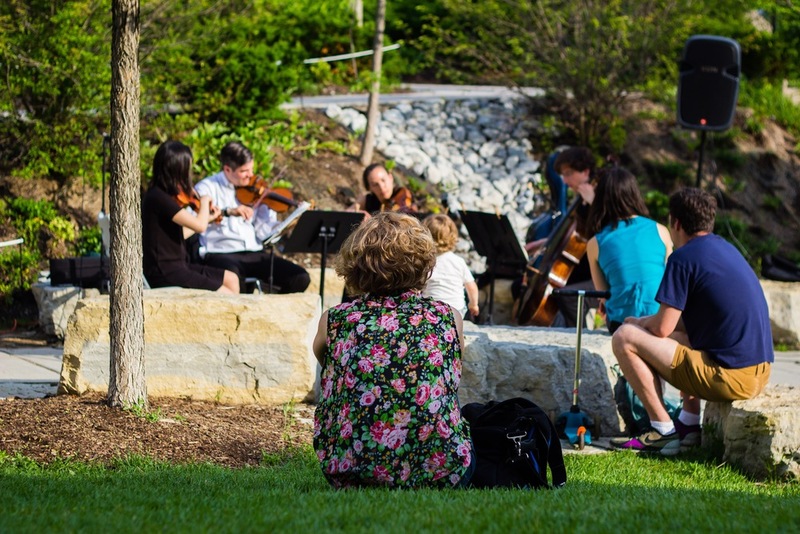 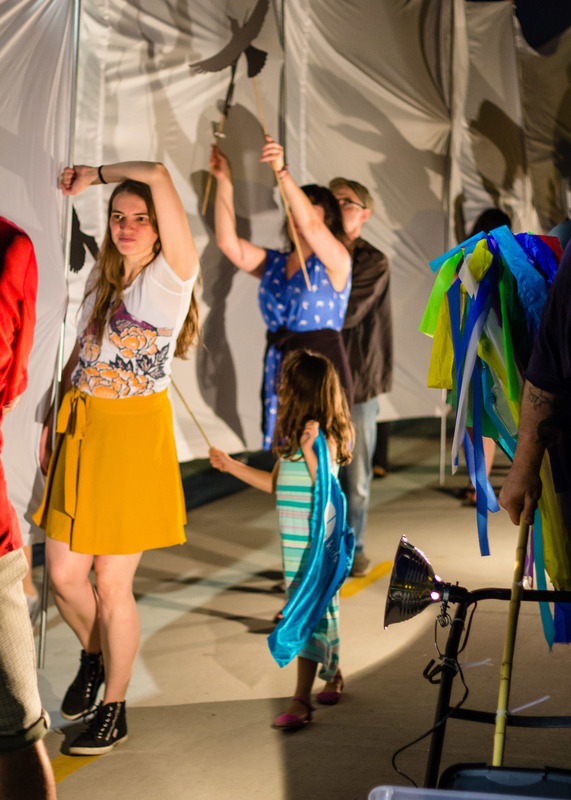 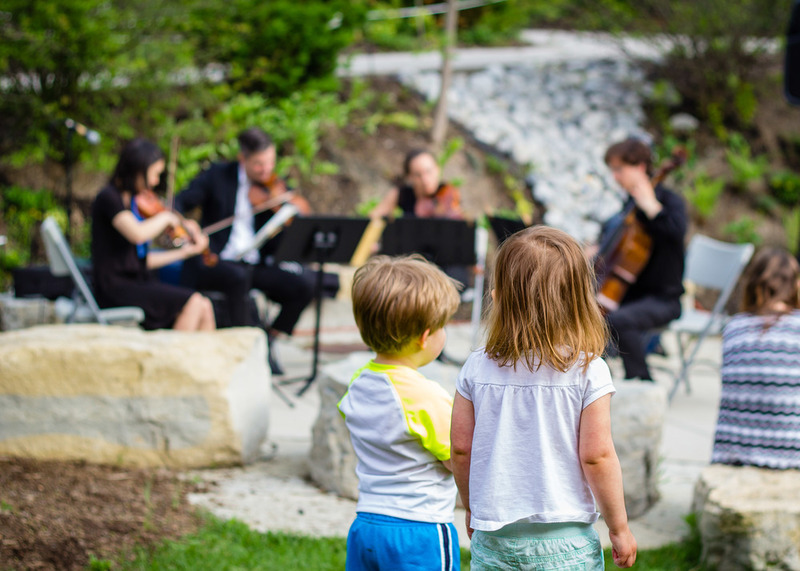 Through music and art-making, Opera-Matic celebrates the beauty in the everyday, recoginizing that relationship building within shared public spaces is a joyful, and necessary pursuit.